With a seaview from every table, Branksome Beach is a seafood restaurant situated right on Branksome Chine beach. We offer a relaxed and friendly experience in a superb setting with stunning views across Poole Bay. With daily fresh fish dishes and the best in modern British cuisine our restaurant uses the finest locally sourced seasonal produce to create skillfully crafted into mouthwatering and inventive dishes. Café Shore defines glamour, luxury and sophistication combined with old fashioned seaside hospitality. Set on the waters edge in Sandbanks, one of Dorset’s most picturesque locations, its uninterrupted views across Poole Harbour provide a stunning backdrop to a unique dining experience. 10-14 Banks Road, Sandbanks, Poole, Dorset, BH13 7QB. Our chef selects the freshest seasonal ingredients providing you with a delicious menu at a fabulous price. 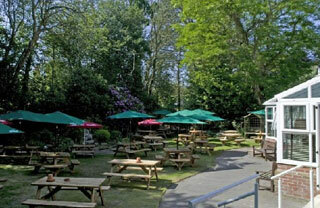 The inn is run by the owner with his family team of staff who are always on hand to make your stay enjoyable. Take advantage of our traditional pub which serves a full range of Wadworth cask conditioned ales, including the full bodied 6x. We also have an excellent selection of continental lagers, wines and spirits. The Harbar bistro, with its panoramic views over the water and a stunning terrace, provides the perfect setting for our impressive menus. Mouth-watering menus are created daily and enhanced by our sommeliers’ personal recommendations from the hotel’s extensive cellar. Fresh, seasonal and locally sourced produce is prepared daily by our dynamic and professional brigade of chefs to create the superb dishes for which this acclaimed two AA red Rosette restaurant is renowned. 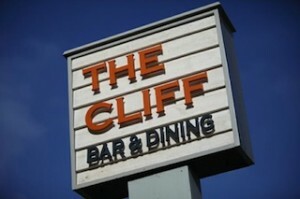 A popular addition to the Canford Cliffs area. 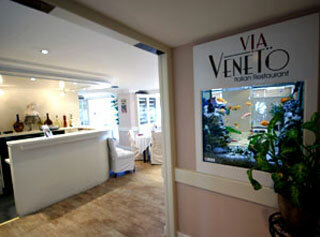 The menu and ambience guarantee a relaxing place to enjoy delicious, fresh seafood. This delightful boutique hotel has been refurbished with stylish interiors throughout, offering a vibrant pub setting, which serves Bass ale and the award winning Dorset Piddle cask ales with an excellent selection of continental lagers, wines and spirits. 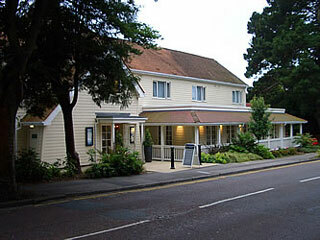 Our bar and restaurant offer a complete range of quality home-cooked meals. We pride ourselves in promoting local produce, particularly our selection of fresh locally caught fish. 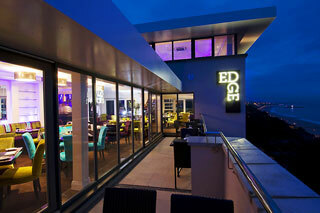 Edge Restaurant dominates the top two floors of the recently built Studland Dene development and boasts a vantage point set to rival any other in the area, with breathtaking panoramic views of the south coast. Guests are carried in a glass elevator to the fourth floor, to enjoy modern European and contemporary British cuisine in a setting adorned with bespoke furniture and exclusive fabrics. Including an outside terrace overlooking the water, the restaurant hosts 130 covers and also offers an intimate private dining experience on the fifth floor, with 360 degree views as far as the eye can see. Salterns Bistro Restaurant Enjoys a Special Position with Panoramic Sea Views. Decorated in a light and airy Mediterranean style with bare floorboards and south-facing aspect to make the most of the location. The Restaurant offers a bistro menu lunch or dinner. 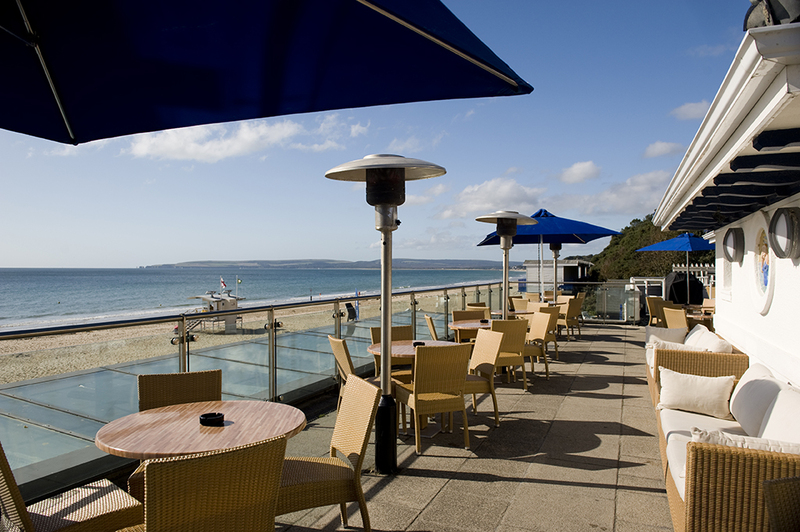 There is a terrace overlooking Poole Harbour where outside dining is offered on the warm summer days.